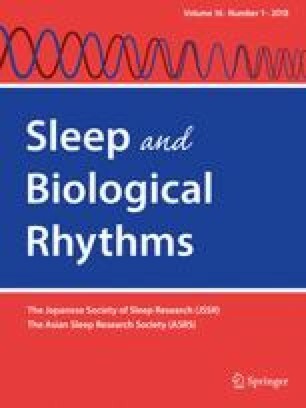 Periodic limb movements in sleep during pregnancy: a common but benign disorder? Pregnant women have a two- to threefold increased prevalence of restless legs syndrome (RLS) compared to the general population, and the majority of RLS patients also experience periodic limb movements in sleep (PLMS). PLMS have been associated with sleep disturbance as well as autonomic heart rate and blood pressure responses; however, the prevalence, cause and significance of PLMS during pregnancy remain unknown. This study evaluated the presence of PLMS in late pregnancy and its relationship to hypertensive disorders of pregnancy. Ninety-one women in the third trimester of pregnancy underwent overnight polysomnography. An RLS questionnaire and the Multivariate Apnea Risk Index were administered and venous blood was sampled within 2 weeks of the sleep study. After exclusions due to obstructive sleep apnoea and signal loss, PLMS data were available for 73 women, 36 hypertensive women and 37 BMI- and gestation-matched controls. PLMS were found to be very common during pregnancy; 45% of women had a PLMS index > 5 and 25% had a PLMS index > 15. The number of PLMS per hour did not differ by hypertensive status. Sleep quality was mostly unaffected by PLMS, as was change in blood pressure overnight. While RLS was reported by 18.3% of the sample, this did not reliably predict the presence of PLMS. Despite iron deficiency being common in this population, it was not associated with PLMS. This novel study investigating the frequency and impact of PLMS during pregnancy revealed that PLMS are very common in the third trimester; however, this disorder appears to be benign in terms of objective sleep quality and relationship with pregnancy-related hypertension. The online version of this article (doi: 10.1007/s41105-017-0125-7) contains supplementary material, which is available to authorized users. The authors would like to thank the staff at the antenatal clinics at Mercy Hospital for Women and the Sleep Laboratory at Austin Health for their support of this project. In particular, thank you to Gabrielle Pell for assisting with participant recruitment and Pavlina Toman for polysomnograph analysis. We appreciate the valuable contribution made by each of the research participants. This research was supported by the Austin Medical Research Foundation, the Institute for Breathing and Sleep, the Australian Stillbirth Alliance, and the Medical Research Foundation for Women and Babies. Author D. Wilson was supported by a National Health and Medical Research Council (NHMRC) postgraduate scholarship. Mark Howard receives research support from the Resmed Foundation, Philips Respironics and the Cooperative Research Centre (CRC) for Alertness, Safety and Productivity. Maree Barnes receives research support from AirLiquide Healthcare. This article is not related to either relationship. Danielle Wilson, Susan Walker, Alison Fung and Fergal O’Donoghue declare they have no conflict of interest. All procedures performed in studies involving human participants were in accordance with the ethical standards of the Human Research Ethics Committees at Austin Health, Mercy Hospital for Women and the University of Melbourne in Melbourne, Victoria, Australia, and with the 1964 Helsinki declaration and its later amendments or comparable ethical standards.